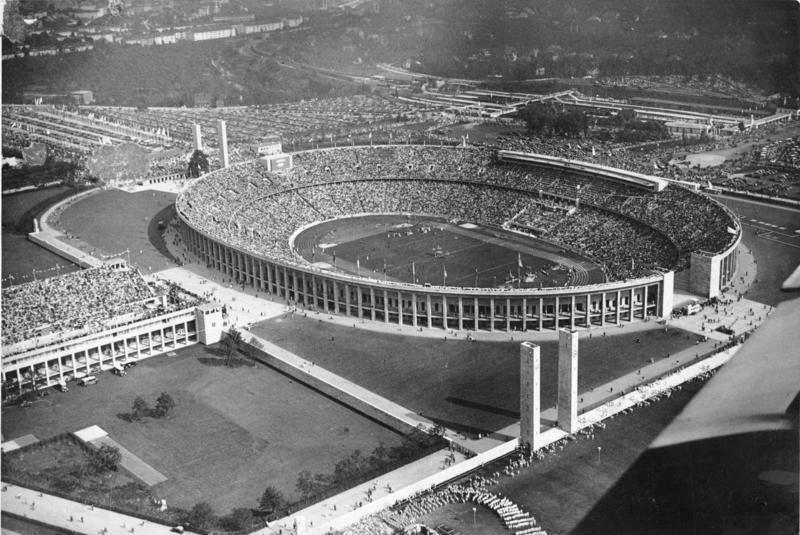 The infamous 1936 Summer Olympic Games were held in Berlin. Track & field was held at Olympic Stadium. Deutsches Stadion was originally built on this site for the 1916 Olympic Games, but they were cancelled due to World War I. Olympic Stadium replaced it and was built for the 1936 Games. It was designed to be Hilter’s showcase to the world. I won’t go into the detailed history, but there was a fascinating exhibit that I got to see a few years ago at the United States Holocaust Memorial Museum, focusing on these summer Olympics. 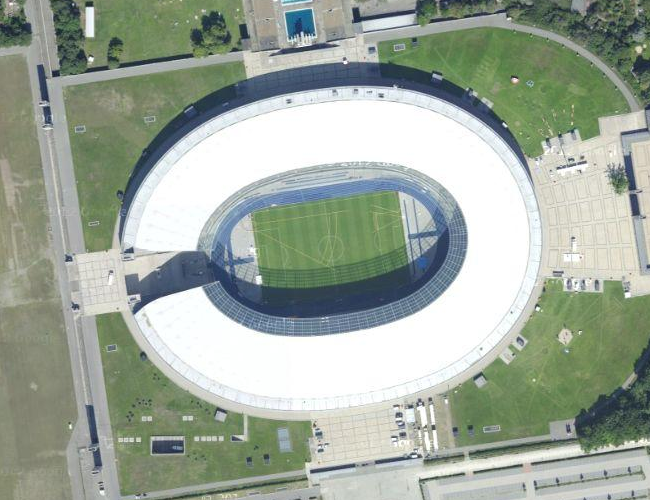 Still is use today, the stadium was renovated starting in 2000, and was the host of last year’s World Championships. This is just a beautiful blue track!